*Authorized Waypoint Living Spaces Dealer* We are a supplier of Cabinets and Countertops for all your new construction and remodeling needs. Located in Brighton in the heart of Livingston County, Michigan. Quality, Value and Professionalism are our goals on all projects. Kitchen, Bathroom, Laundry, Library, Wet Bar and much more. We have the styles and finishes to suit all tastes and budgets. We have the computer tools to create a 3D rendering to help you visualize your project before it even starts. We service and deliver to Livingston County, Oakland County, and Washtenaw County. Full Design through Construction services. Our parent company, Vantage Construction, has 32 years experience with remodeling and new construction. QualityCabinets™ offers several depths of wall, base and vanity cabinets – all in a wide variety of sizes, wood species, door styles and color combinations (more than 500, in fact) and all at an incredible value for the money. Our optional upgrades and decorative accessories allow you to “customize” a room to reflect your personal style – and achieve beauty and function your way. The Quality Story is one of experience. When you’ve been building cabinets as long as we have, you learn it doesn’t pay to cut corners. So we do it right – with solid kiln-dried hardwood face frames that give strength, squareness and rigidity to every cabinet we make. QualityCabinets™ products are certified by the Kitchen Cabinet Manufacturers Association (KCMA) and exceed or meet industry standards for construction and performance. Look for the KCMA seal on the inside of your QualityCabinets™ sink base. At QualityCabinets™, we believe in value at all times. We respond quickly to the needs of homeowners and home buyers. 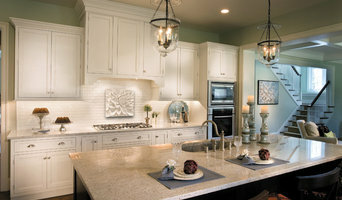 In addition, Hartland, MI cabinetry pros can help you give worn or dated cabinets a makeover. They can replace doors; add glass inserts, decorative moldings and other details; or give cabinetry a new coat of paint or specialty finish. Your cabinetry professional might work closely with a Michigan kitchen designer, builder, remodeling contractor or interior designer. Here are some related professionals and vendors to complement the work of cabinets & cabinetry: Kitchen & Bath Designers, Kitchen & Bath Remodelers, Interior Designers & Decorators, Closet Designers and Professional Organizers, Woodworkers & Carpenters. 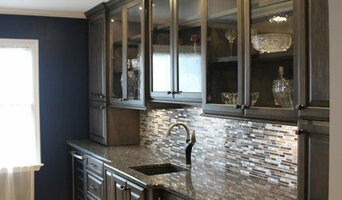 Find a cabinetry professional on Houzz. 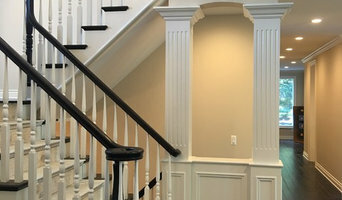 Narrow your search in the Professionals section of the website to Hartland, MI cabinets and cabinetry. You may also look through Michigan photos to find examples of cabinets that you like, then contact the cabinetry professional who worked on them.